I was looking through Aesthetic Apparatus‘ work today looking for the new stuff and found a motherlode. Lots of great new-ish stuff in the gallery for sale now. Their color sense is so on point, it’s ridiculous. 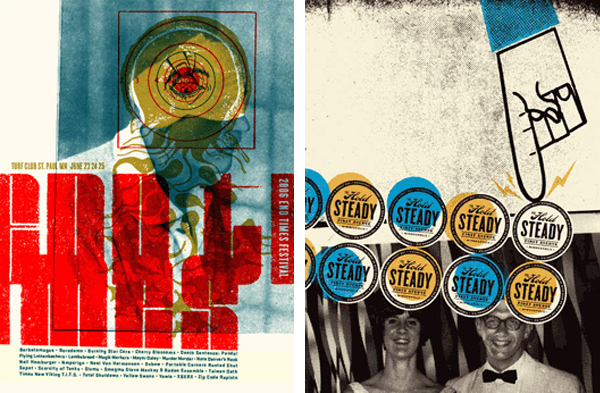 These silk-screened prints are at a great price point and look amazing in the home. (Also receive a free Yo La Tengo print with every purchase over $30. Request it in the comments section at checkout.) See my previous post here. End Times Festival, $20. The Hold Steady, $20.